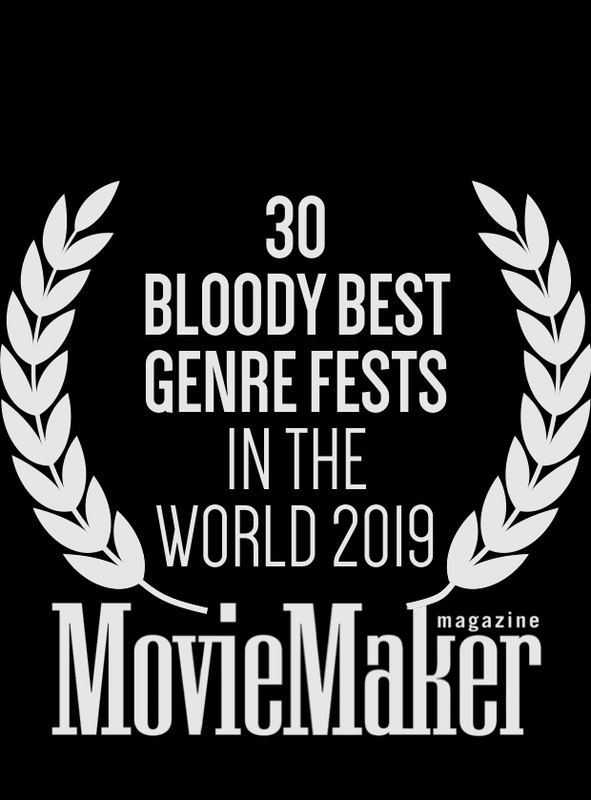 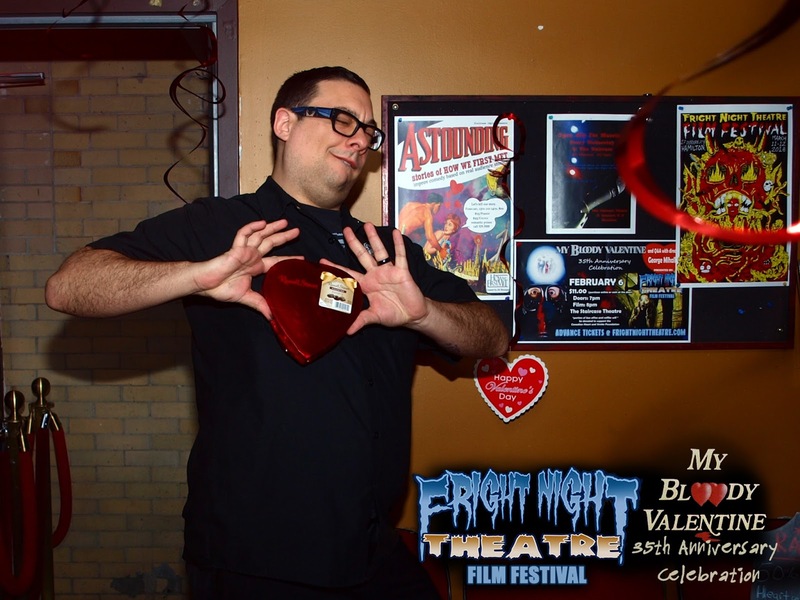 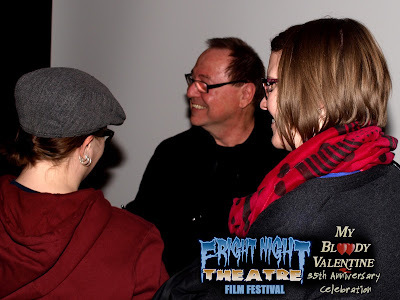 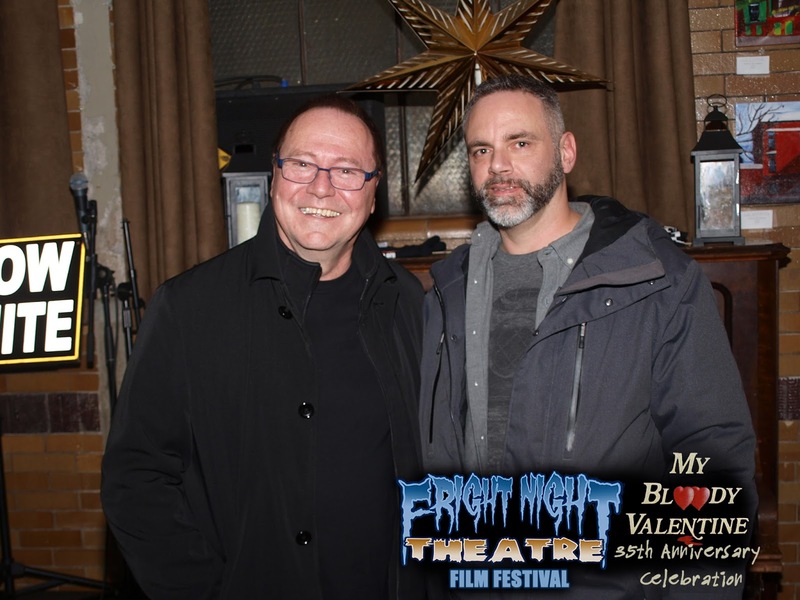 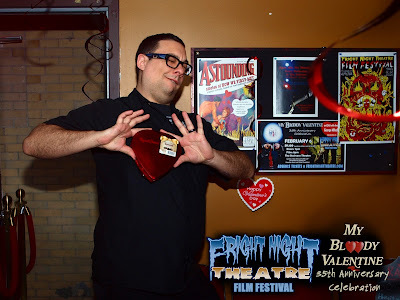 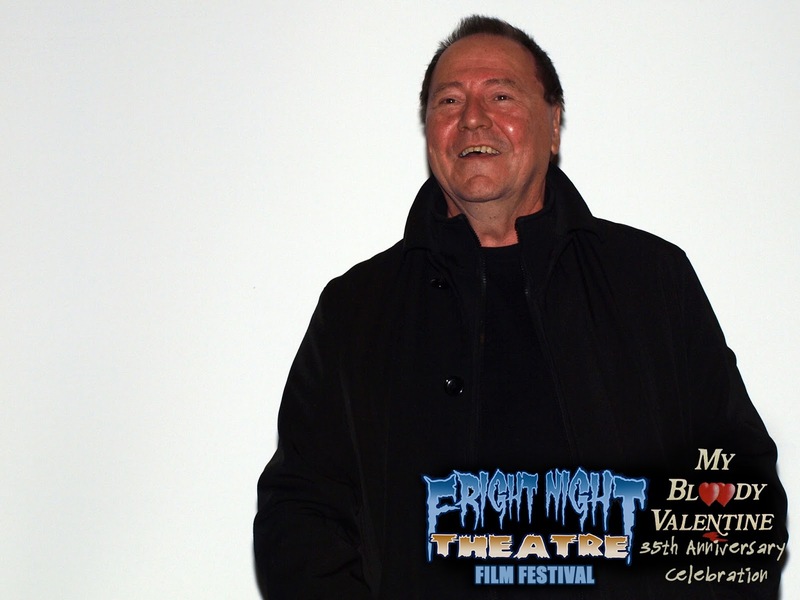 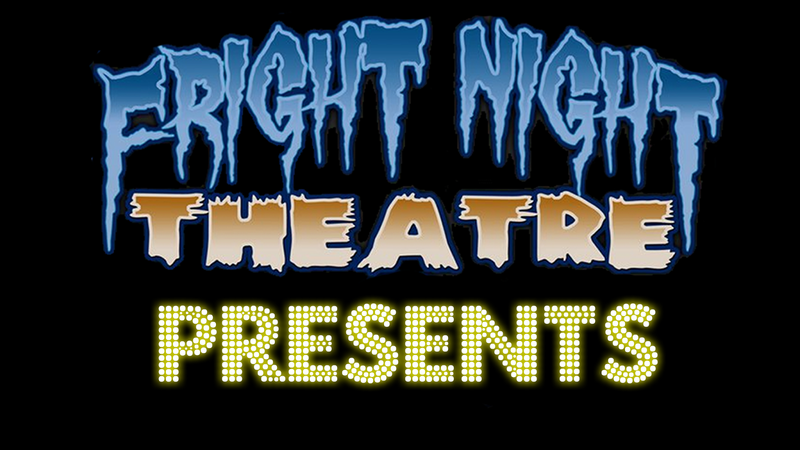 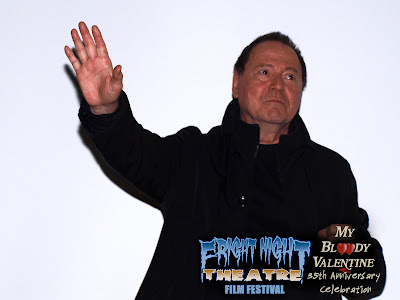 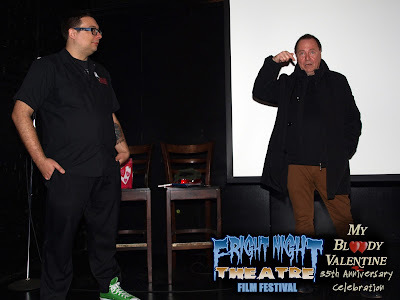 On Saturday, Feb 6, 2016 the Fright Night Theatre Film Festival in Hamilton, ON celebrated the 35th anniversary of the classic Canadian slasher MY BLOODY VALENTINE (1981) with special guest director George Mihalka. 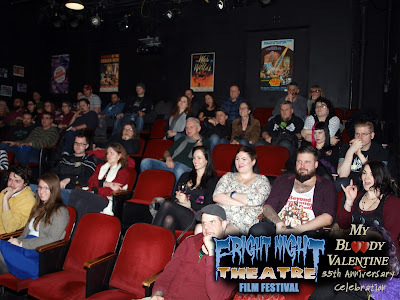 Joined by an audience of die-hard horror fans and film fanatics -- some of whom were experiencing the film for the first time -- FNTFF director and head programmer Aaron Allen led the audience in a rousing sing-along rendition of film's end-credits song "The Ballad of Harry Warden" before screening the extended edition cut of the film which restores a number of gory deaths cut from the theatrical print by the MPAA. 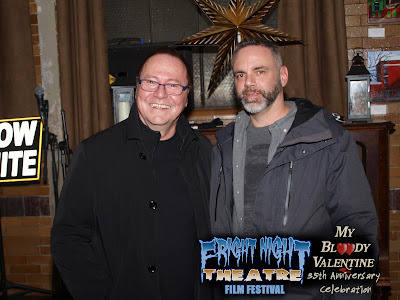 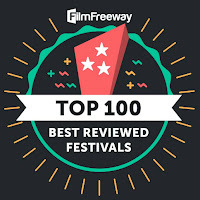 Following the show, Aaron moderated an insightful Q&A with director George Mihalka detailing the origins of the film, its challenging production, the heartbreaking cuts forced by the MPAA, and the film's eventual resurrection as a cult classic. 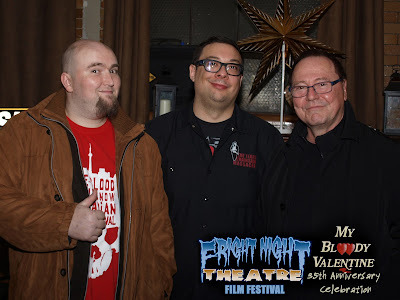 It was truly a night to remember and an experience that will live on in our hearts...until Harry Warden rips it from our chest, of course. 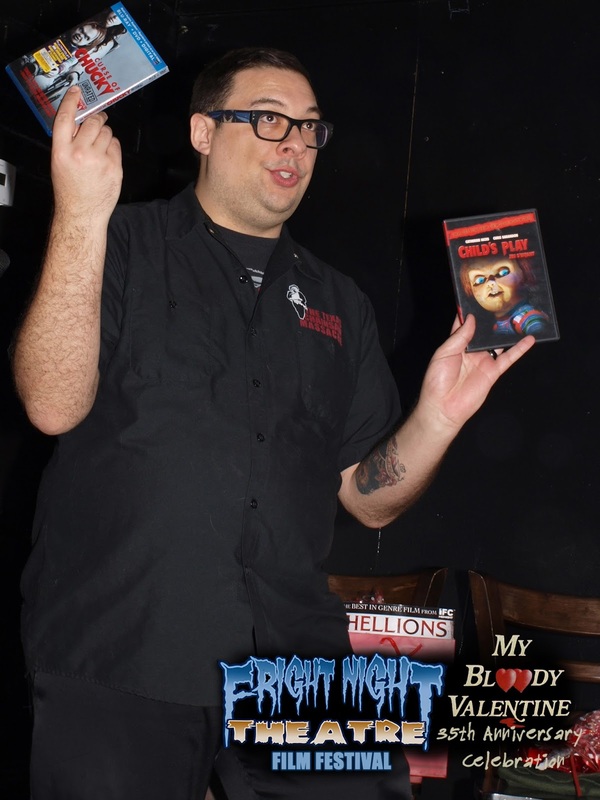 Aaron doing his favorite thing: giving away prizes!